Although we have no game over the weekend; generally over the years we have played games around this time with varying degree of success. 5 Years Ago. 16th November, 2010. Having played three of our Euro 2012 qualifiers and lost to the Czech Republic and Spain what better way to cheer the Tartan Army up than a friendly game against the Faroe Islands up at Pittdorie. Two players had their debuts handed to them from the start that night; Danny Wilson of Liverpool and Aston Villa’s Barry Bannan. Wilson would put Scotland in the lead with Kris Commons and Jamie Mackie scoring goals 2 and 3 all before half time and that’s how it finished. Perhaps the amount of subs in the second half spoiled the flow of the game. Six sub came on with five debutants among them. James MacArthur (Wigan), Cammy Bell (Kilmarnock), Craig Bryson (Kilmarnock), Steven Saunders (Motherwell) and David Goodwillie (Dundee United). A few of these players have had some major changes in their lives with only MacArthur establishing himself as a Scotland squad player. I’m not saying there is a curse of Craig Levein but Steven Saunders has suffered injuries over the years and has played in less than a hundred games in his career since 2008; Cammy Bell has also been afflicted from injuries over the years although nowadays it more likely skelfs from benchwarming at Ibrox. (I know it’s nice padded seats there but it is only a metaphor). Neither Bell nor Saunders would be capped again with Bryson, Goodwillie and Wilson amounting to ten caps between them. 10 Years Ago. 12th November, 2005. Having failed to qualify for the 2006 World Cup in Germany nor make the play offs, we played another friendly against the USA at Hampden. Walter Smith was in charge for this one and unlike Levein in 2010 Walter went with a fairly experienced side with Paul Hartley and Garry O’Connor with seven caps each being the least experienced. The U.S. went into an early lead with a penalty through Wolff in the eighth minute and at one point looked as though they could overrun Scotland however, as the half continue Scotland came more into it and Andy Webster scored an equaliser in the 36th minute and that is how it finished. Scott Brown would make his Scotland debut in the second half. The surprising thing about this game was that it was at Hampden and not Edinburgh with the players in the line-up. Hearts provided four players with Gordon, Pressley, Webster and Hartley all hailing from Tynecastle and Hibs provided Garry O’Connor and subs Gary Caldwell and Scott Brown. As for the Old Firm Shaun Maloney’s second half appearance would be the only Celtic or Rangers players involved. Of course with O’Connor being the only exception the other six ended up at one half or the other of the old Firm at some point. 15 Years Ago. 15th November 2000 and we have made a good start to our World Cup campaign with wins against Latvia, San Marino and a draw with Croatia all away from home, however this was a period where we couldn’t buy a home victory in a friendly and Australia were to leave Hampden with a 2-0 win. Again, it was a fairly experienced side that started with Craig Brown giving a debut to only Dominic Matteo of Leeds but a Brett Emerton goal in 12 minutes gave the Aussies an early lead which was doubled halfway through the second half by David Zdrillic. The Aussies in November does have some good memories though as we will see below. 20 Years Ago. 15th November, 1995 and it’s the last game of our successful Euro ’96 campaign. We had already ensured qualification so when San Marino rolled up to Hampden Park, it was a relaxed party night for the Tartan Army. Eoin Jess kicked off the celebrations with a goal in 30 minutes and fellow Aberdeen player Scott Booth added a second just on half time. Ally McCoist would come on in the 48th minute and typically score in the 49th minute. 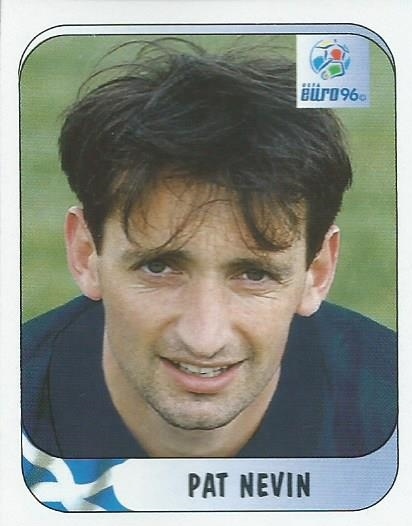 Pat Nevin would hit our fourth and and an own goal by Francini finished the rout. So, Craig Brown and his team were heading for England and the Euros. 25 Years Ago. 14th November, 1990 and we have had a good start to our 1992 Euro campaign which would ultimately see us through to the finals for the first time in Sweden. With Andy Roxburgh in charge we had already recorded 2-1 wins at home to both Romania and Switzerland. Next up was the Vasil Levski Stadion in Sofia against Bulgaria. An early McCoist goal saw us start well but an equaliser in the 70th minute no doubt saw a nervy finish to the game; however another point on the road to Sweden was picked up. 30 Years Ago. 20th November, 1985. One of the biggest games in our history was played this night, as only two months after the untimely death of Jock Stein, Alex Ferguson was in charge for our World Cup Play Off against Australia. This was an extremely nervous night which saw Kenny Dalglish make his 99th appearance in a Scotland shirt and Frank McAvennie his first. With no goals in the first half and chances at a minimum the ground must have been getting restless when up stepped Davie Cooper to take a free kick in the 58th minute. 1-0 Scotland and within two minutes McAvennie, doubled our lead and gave us the breathing space for the return leg in Melbourne a few weeks later. No game in November, 1980 to speak of; nor in 1975 but November 11th, 1970 saw us win 1-0 against Denmark at Hampden in a European Championship Qualifier with John O’Hare scoring the only goal. However 50 Years Ago on November 9th 1965 a crowd of 100,393 turned up at Hampden for a World Cup Qualifier against Italy. Although, there was no Denis Law that night; the team included players like Billy Bremner, Jim Baxter, Alan Gilzean and Willie Henderson and making their debut that night, Bobby Murdoch of Celtic and Ronnie McKinnon of Rangers. As hard as Scotland tried they could not penetrate the Italians and their solid defence and you do wonder how many people left early in the final minutes before John Greig released a power drive in the 88th minute to seal a memorable win for Scotland. Sadly defeat to Poland the month before had ruined our chances of getting to England and World Cup ’66 but this is still one of the great nights for Scotland over the years.